Good day! A brand new wk is coming! Here I’d like to share a very good unboxing TBS6209 video with you. It’s made by our TBS great Spanish embassador. To be honest, if you wanna know how to install TBS6209 Octa TV tuner PCI-e card in MOI Pro AMD server and then use them with tvheadend for live streaming digital terrestrial TV programs further through Ethernet to various devices such as PC, smartphones, smartTV, you shouldn’t miss the above awesome video. Tell us what you think about the products, share your opinion with other people. Any further question, pls feel free to contact us. Thanks! Good day! How are you? 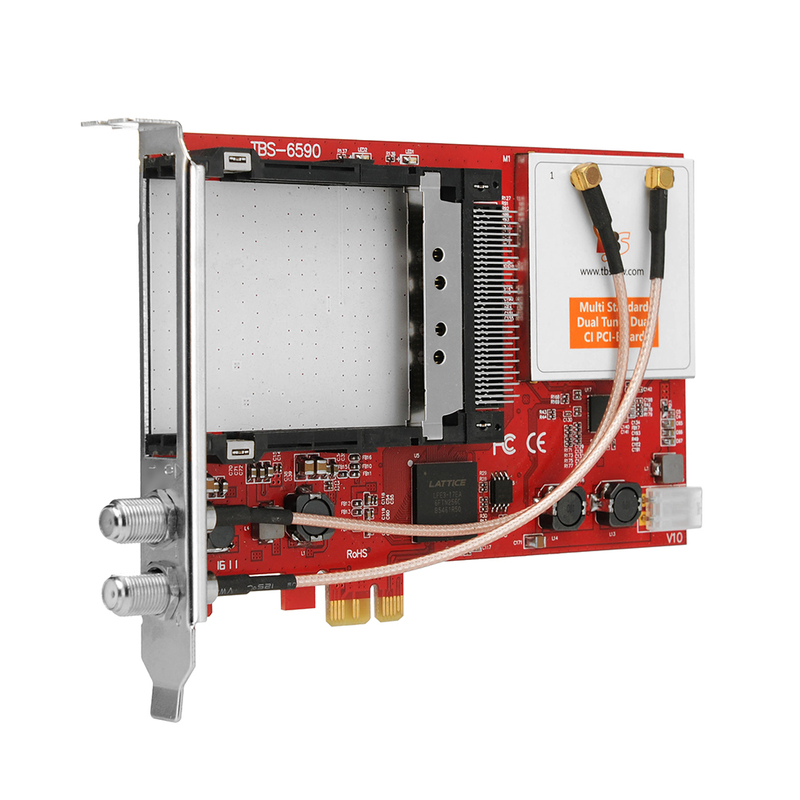 Here comes a very good test report of TBS6903 professional DVB-S2 dual tuner PCI-e card, which supports not only normal DVB-S2/DVB-S QPSK, 8PSK which is supported by normal satellite receivers, but also CCM, ACM, VCM, 16APSK, 32APSK, Multiple Transport Stream, Multiple Generic Stream, Combined Single Generic &Single TS, which most satellite receiving devices can’t support. “It is well know that TBS Professional grade TV tuners are among the most affordable DVB-S2 cards with best in class support from the CrazyScan creator. Afterall, the TBS6903 Professional DVB-S2 Dual Tuner PCIe Card is a recognition of TBS as a top leader in DVB industry.”- Reported by Petrus Bucur on RF Sync. Breaking News for You: TBS6590 Multi Standard Dual Tuner Dual CI PCI-e Card is a twin tuner card for watching or recording 2 different channels of pay TV from 2 different frequencies simultaneously. 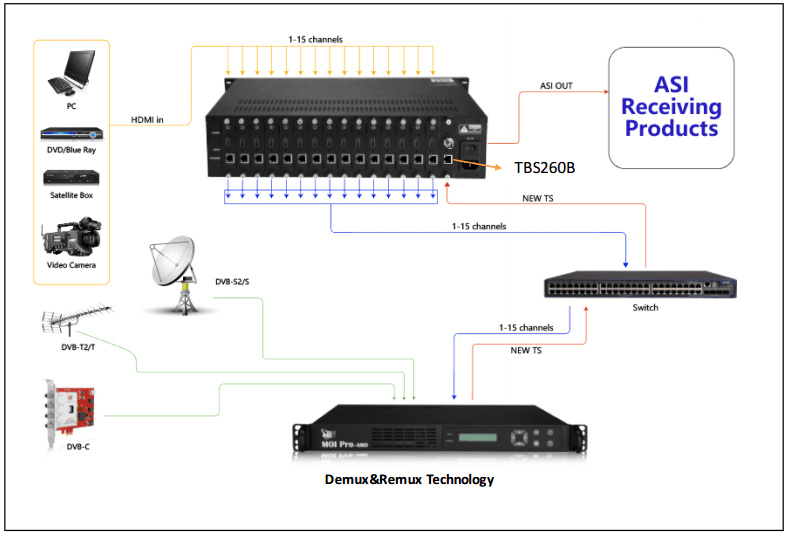 TBS6590 supports multiple digital TV standards, including DVB-S2/S, DVB-T2/T,DVB-C2/C, DVB-S2X and ISDB-T.
How to use TBS260B DVB HD IP to ASI Converter under Linux OS? How to use TBS260B IP to ASI Converter under Windows OS? Hope you will enjoy watching TBS260B tutorial videos and I’m sure you will learn more about this new arrival tbs260B from the Youtube videos.